Will be good to see you there.. If anyone else wants to come along and exhibit their C5 either contact Spike direct, or myself, and we can forward an entry form via email. It would be nice to have a group of C5's there, plus it's a chance for us to chat about all things C5 with people that are interested in them . When Martin and I did the Ardingly and Amberley shows last year it was amazing to see the level of interest the C5's generate. Alan , just a reminder - if you (or anyone else) want to attend this you'll need to fill out a form that needs to be with Spike by the end of the month. Contact Spike or myself to obtain the necessary form. I've already posted my application - let me know if anyone else wants to come along . I'm all trailered up and ready for the off !!! - gettin excited !!! Have a great all how attends, hope to see some pictures later and fingers crossed Umpa is taken his camcorder again. I didn't get chance to take any piccies at all, so busy chatting with people who stopped to admire the c5's & the mini-el . 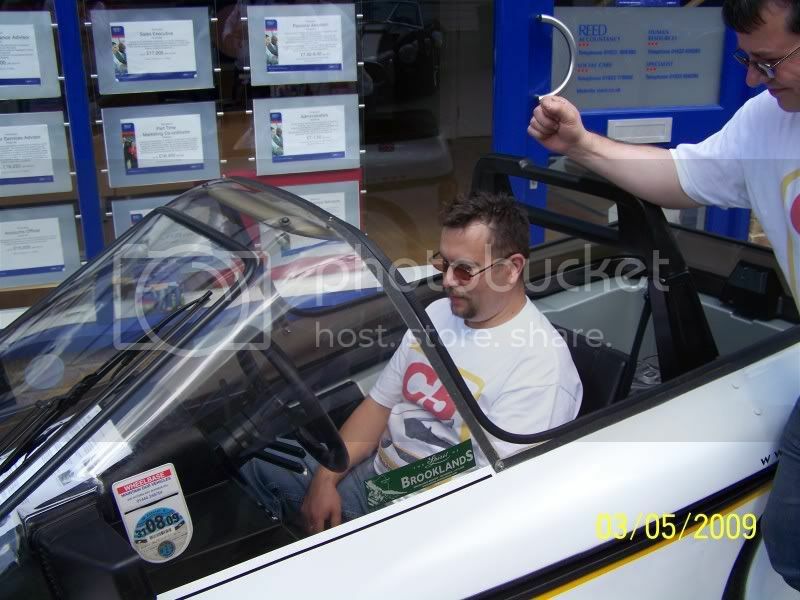 Our small display was well received with quite a few taking the chance to have their photo taken sitting in a c5. Some also recognised "moneypit" off the Gadget show. The car show itself was unusual in that it was spread out over a couple of streets in the town centre shopping area, so there were a lot of people coming and going. What a day, fantastic day as always. Thanks Karl & Angie for the card and stuff. Will post pics and video very soon. Off to bed I'm tatered !! 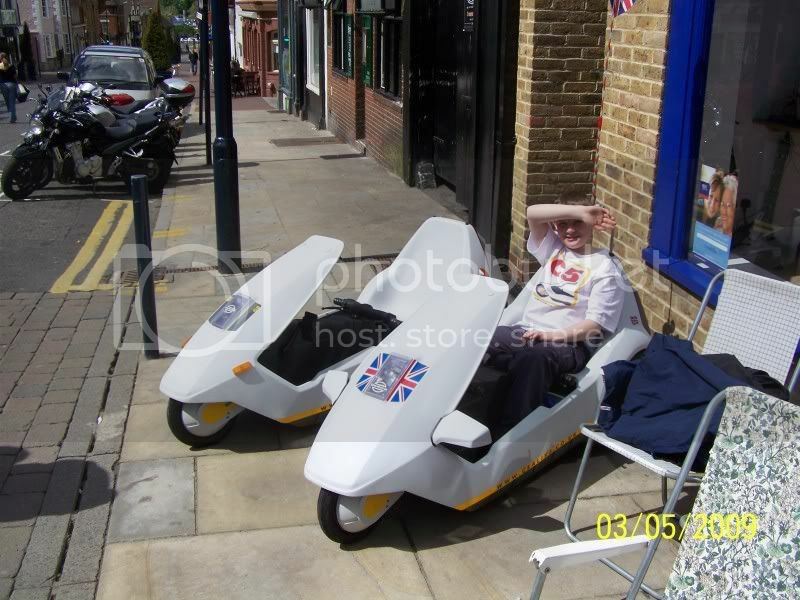 As you can see there was quite a bit of interest in the Sinclair C5 and C5Alive. I would all thank karl & Angie for letting me attend & for their hard work and effort they put into C5alive. We had a really nice day ! 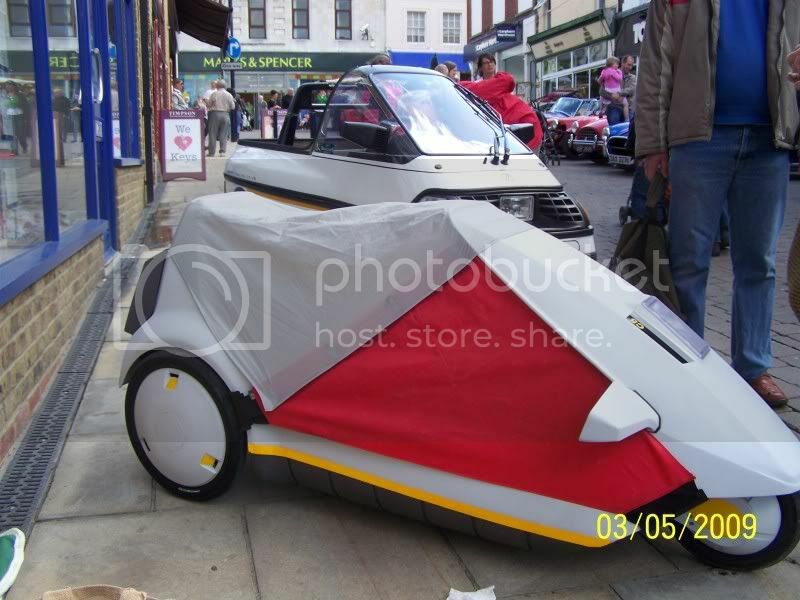 Everyone who stopped to chat seemed genuinely interested in the C5, with most people agreeing it didn't deserve the ridicule it received in 1985. I wish i could have join you, looks like a great day out. That general lee is fantastic, was Daisy Duke there ? Glad you liked it, the more lazy I am with the camera the harder it gets to make. Sorry Andy - no Daisy Duke - would have been nice !!!! Karl how did you find the DVD ?